The crowd cheered Manuel, known as Manny by the thousands watching the challenge, as he started the final run in sixth place with a qualifying time of 44.137 seconds. With the fastest final run time in the championship heat of 43.383, Manny’s total combined and winning time came in at 87.520 seconds. 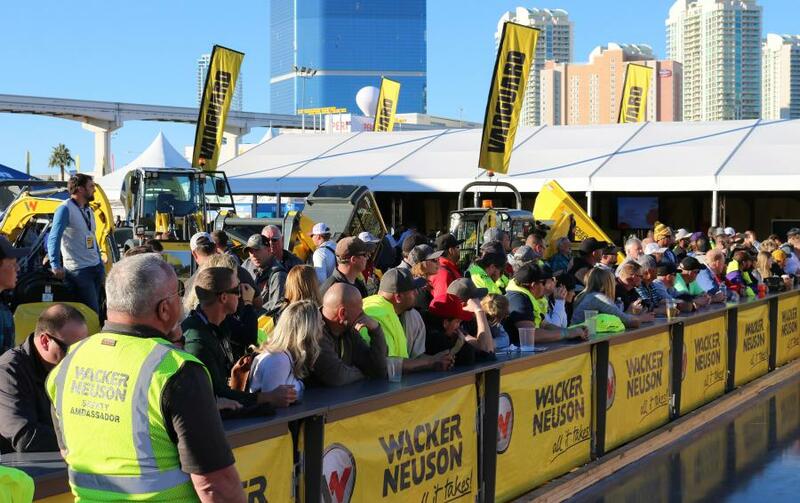 Wacker Neuson once again held its Trowel Challenge competition at the 2019 World of Concrete, Jan. 22 through 26 in Las Vegas. 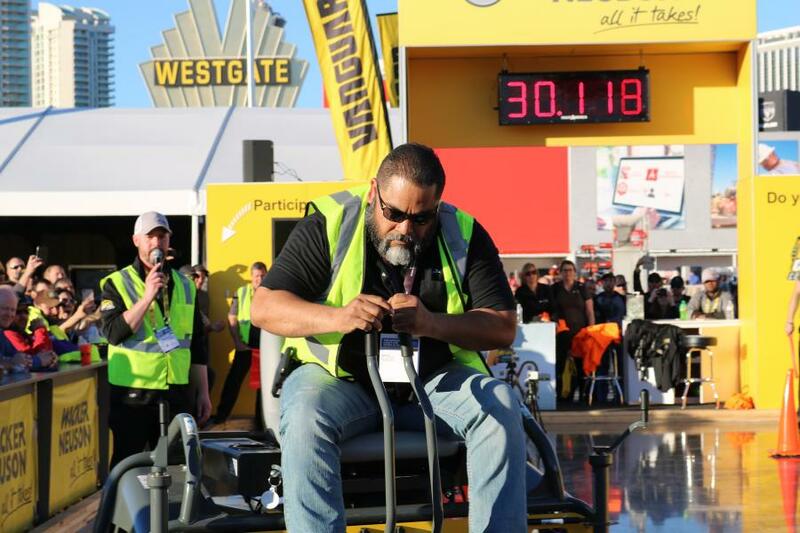 As the competition has continued to gain loyalty, many familiar faces returned to compete for the grand prize, a Wacker Neuson eight-ft. CRT48-37V ride-on trowel. Over 100 operators from around the world competed for the fastest time as they maneuvered through the tight turns of the 1,750 sq. ft. course. 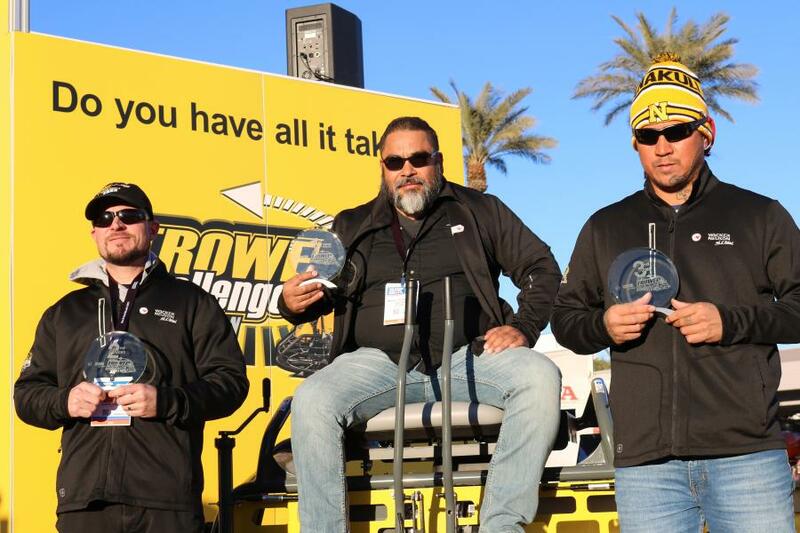 The final competition to crown the fastest finisher was held on Thursday, Jan. 25, and once again large crowds gathered to cheer on the top ten qualifying finishers. The final run time was added to the participants' qualifying time to determine the final and fastest time. Each time a competitor bumped a cone or the edge of the course, a one second penalty was added to the run time; making it a very competitive final race. The crowd cheered Manuel, known as Manny by the thousands watching the challenge, as he started the final run in sixth place with a qualifying time of 44.137 seconds. With the fastest final run time in the championship heat of 43.383, Manny's total combined and winning time came in at 87.520 seconds. Akeo had the second best qualifying time of 43.140, but couldn't quite hold the second spot, coming in the final run time of 44.952, for a total of 88.098 and a third place finish. 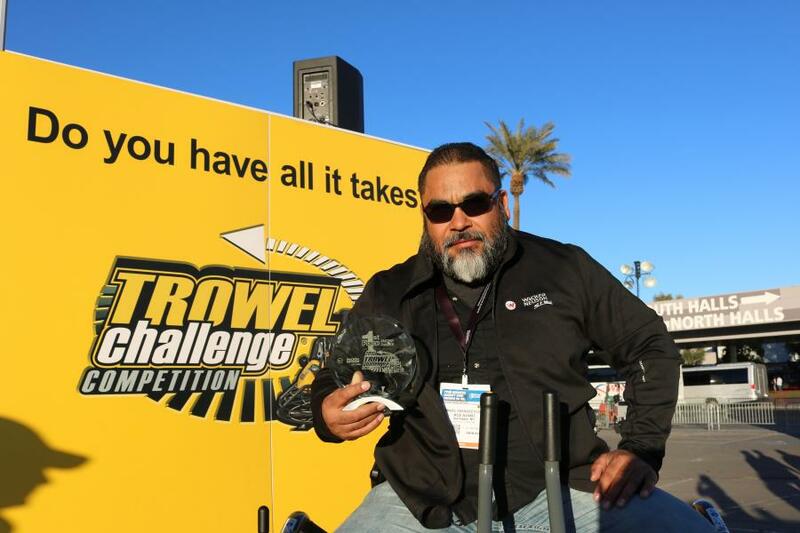 As in the past with Wacker Neuson's Trowel Challenge, the competition was tight with a mere 0.377 seconds separating first and second place and only 0.57 seconds separating first place and third place. Congratulations to all top ten final qualifiers and thanks to everyone who either competed or came out to cheer on the finishers. Each of top three finishers took home a crystal trophy and all top 10 finishers received a special Trowel Challenger shirt.